I spent a decent portion of my week last week eating and tasting cheese. First stop was the Speciality & Fine Food Fair at Olympia, where I ate blue goat cheese and cheddar with rum-soaked figs inclusions. 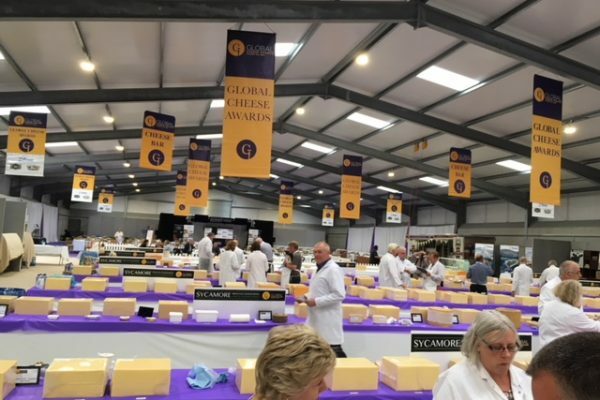 Then it was onto being a cheese judge at the Global Cheese Awards in Frome, in the heart of cheddar territory in the UK. I find that even though I’ve now been judging for a few years, the more I learn, the less I know. And my fellow judges are very patient with me and explain a lot. They also seem to think me saying something about the cheese is of some importance. Which is more than I get from my 11-year old lately. So, at Global I was with Colin Ewan of Arla Foods’ Taw Valley Creamery, and Mike, the steward. The stewards are very often the unsung heroes of the cheese judging tent – getting the apples and water, making sure we have kitchen roll to wipe the irons on, finding a knife and a spoon or two, lugging blocks of cheese around, putting ribbons and stickers on, and writing things up. They do a lot of work, all in exchange for a few measly plugs of cheese and a chance to put their backs out dragging 22 kilograms of cheese around. And we had some very nice cheese. 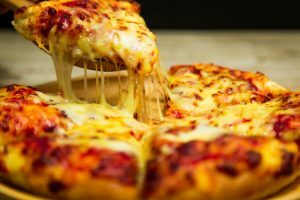 At these shows, you don’t always have an opportunity to try more than one or two top cheeses, but the Global show seems to have a preponderance of tasty cheeses on its tables, and so we ran into several that were so very good, including the supreme winner from the International Cheese Awards. 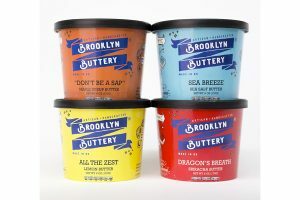 Even the yogurts we had were high quality, and they were goat milk based. All in all, a very pleasant afternoon in a lovely setting. I went home on the train and thought about how much I enjoy my job.